Posted June 22, 2016 by sdrexler-admin & filed under Forged Documents. At Drexler Document Lab, we specialize in ensuring the security and integrity of your most precious and irreplaceable documents. We review contracts, checks, historical records and more to verify that all information is authentic and that the paperwork has not been modified after its original creation. Even though technology has advanced and digitized documents have become mainstream, many people and companies still rely on paper checks and written documents to conduct their business. When you rely on paper documents, however, there is always the potential for your documents to be exploited by identity thieves, forgers and more. To show just how much we know about how professional criminals can alter your documents and checks, we’ve compiled a few tips that you can use to identify these devious tricks. Many fake checks employ little tricks that deceive you into believing that it is the real deal. 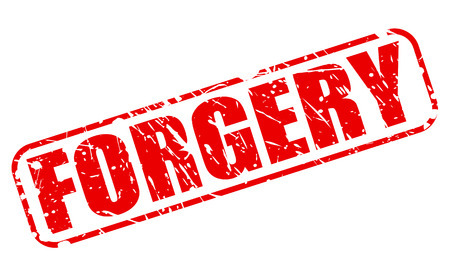 One quick way to check that you’re not dealing with a forgery is to make sure that the check number is the same as the last numbers at the bottom of the check. Also, verify that the check has perforations along the edges, as a check without perforations could mean that it was created using a home printer. Finally, check for stains around the signature as they could be signs that the original signature was erased. When it comes to documents, remember that if it is too good to be true, it probably is, especially for letters you receive that state that you have won something. If you receive a letter in the mail and the salutation is “Dear Friend” instead of your real name, this could be a red flag. If the company name looks suspicious, do some research on them online. The same goes for phone numbers and addresses – do not call or send anything until you verify that they are legitimate. The most experienced criminals can send you a letter that appears to be from a recognized company that asks you to send in a payment, only to provide a falsified address so that they can keep the money for themselves. Although you can do much of this sleuthing yourself, you can never truly catch everything on your own, and that is why our addition and deletion identification services can be so beneficial to your home or business. If you have any reservations about the authenticity of a document or you suspect forgery or fraud, we can help analyze your document and determine if it’s an authentic document or a reproduction or forgery. To learn more or to request an analysis of your suspicious document, call Drexler Document Laboratory today at 844-373-9522.